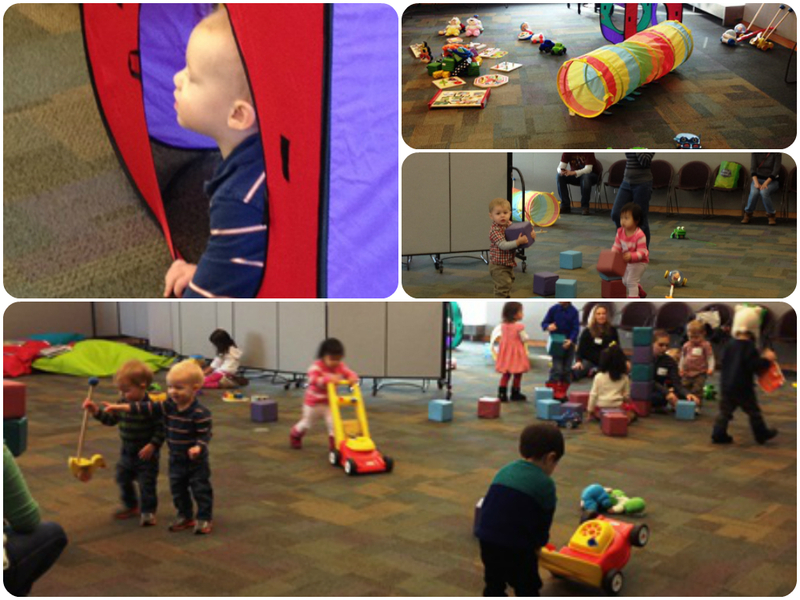 During the cold winter months here in Lincolnshire, we have had a monthly Playdate @ the Library! 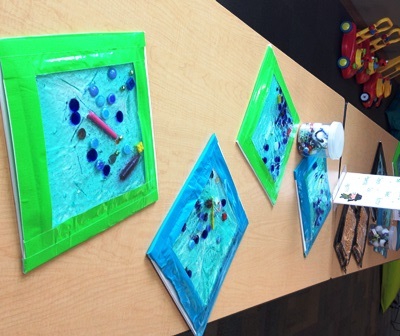 Not only do we have a rip-roarin’ good time playing with the toys and pop-up house owned by the library, we wanted to share with the caregivers fun things you can make for your little ones at home out of common household items. For our first session – we made iSpy Bags and Jangle Jars which are very fun and simple! 4. Duct tape to secure the opening so no gel escapes! 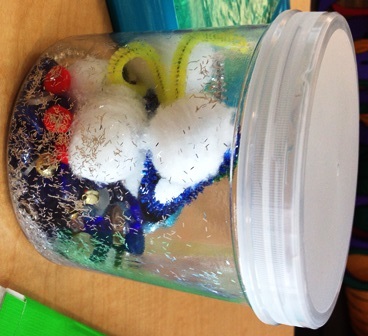 Use hair gel containers (after washing) and remaining “junk” to make a jangle jar!